How time flies. My elder son had just passed his 20th birthday, which was on 12 Mar. He is no longer a teenager but young adult now. 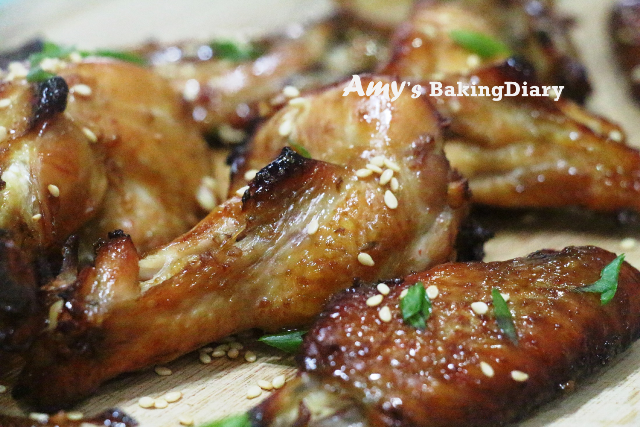 This is another one of the chicken wings recipe which my family likes it a lot. It is very tasty with a slight sweetness from the honey and ginger flavor. I like the marinades, which actually turned into a beautiful golden glaze but I tell you the chicken wings are tastier than it looks. (1)Combine the marinade ingredients and marinade the chicken wings for at least 2 hours or overnight. (2)Preheat the oven to 200°C and line aluminum foil before the grilling rack. This is for easy washing after grilling. (3)Arrange the chicken wings drumettes on the grilling rack. 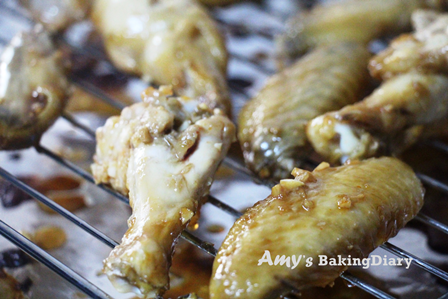 Brush the remaining sauce on the chicken wings drumettes before putting it into the oven to grill. (4)Grill for 15 mins. 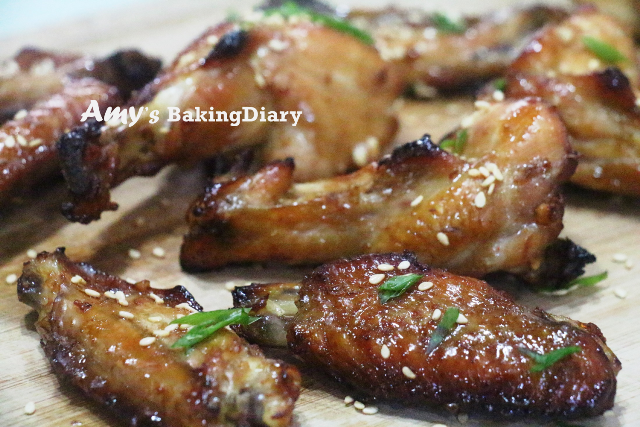 Remove from oven and use tongs to turn the wings over. Brush the chicken wings drumettes again with the remaining marinades and grill for another 10-15 mins or until they are nicely browned. 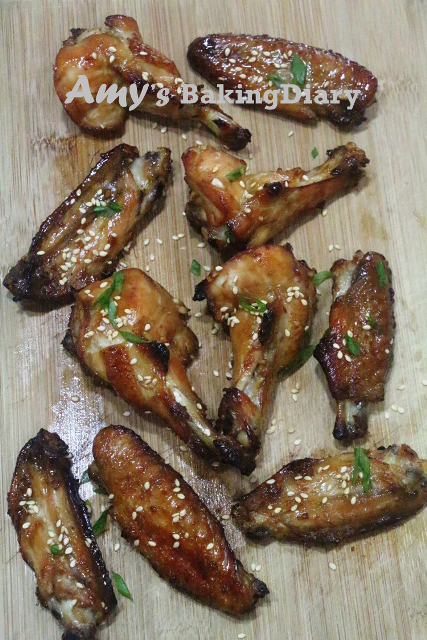 (5)Sprinkle with toasted sesame seeds and thinly sliced spring onion over the chicken wings drumettes, and serve. 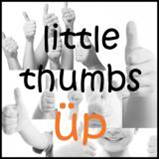 I’m submitting this to March Little Thumbs Up on Honey. This is organized by Zoe of Bake for Happy Kids and Doreen of My Little Favourite DIY and hosted by Joyce of Joy 'N' Escapde. Blessed belated birthday to this handsome young man. Realised that my boy and your boy same age and same birth month ^-^! Yummy honey chicken wings. My son loves them too. They are so easy to cook and so delicious to eat. 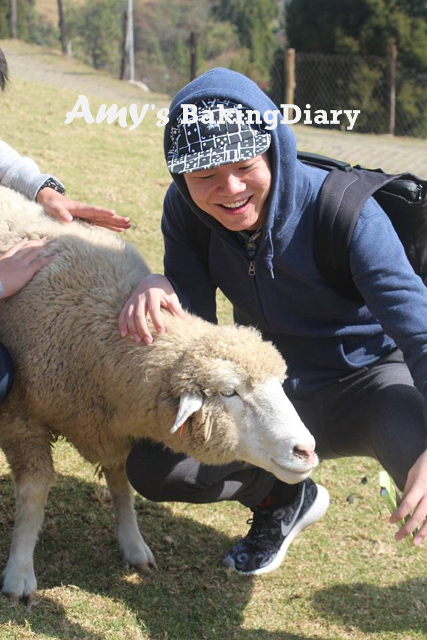 Hi Amy, oh yes, these honey chicken wings are definitely lovely and yummy!